We will be drawing for the Spring Spa Prize Packages at the banquet - and don’t forget to checkout the silent auction, we have lots of great items! GSC is proud to host the Elizabeth Manley Winter Classic Super Series competition again. 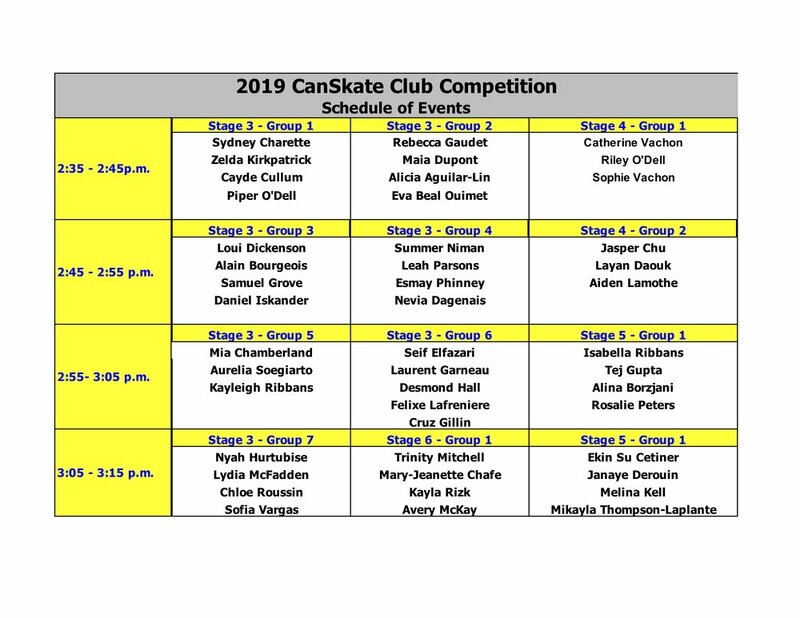 We ask that skaters arrive 30 minutes prior to the scheduled event time. When you arrive at the rink, please go to the registration desk in the lower lobby. Our volunteers will give your child their name tag and the assigned dressing room for the competition. We ask that parents and skaters remain in the dressing room until our ice captain comes to take the skaters to the ice surface. You can then go upstairs to watch your child perform their skills. Once your skater has completed their skills, they will be taken back to the same dressing room where you can meet them. Awards will be presented to all participants at 3:30 pm, outside the club office in the upstairs hallway between the two rinks. Skaters will be on the ice for approximately 10 minutes in total, they do not need to wear ski jackets or snow pants. Our coaches will be on the ice with the skaters to assist them with both the warmup and performance of elements. 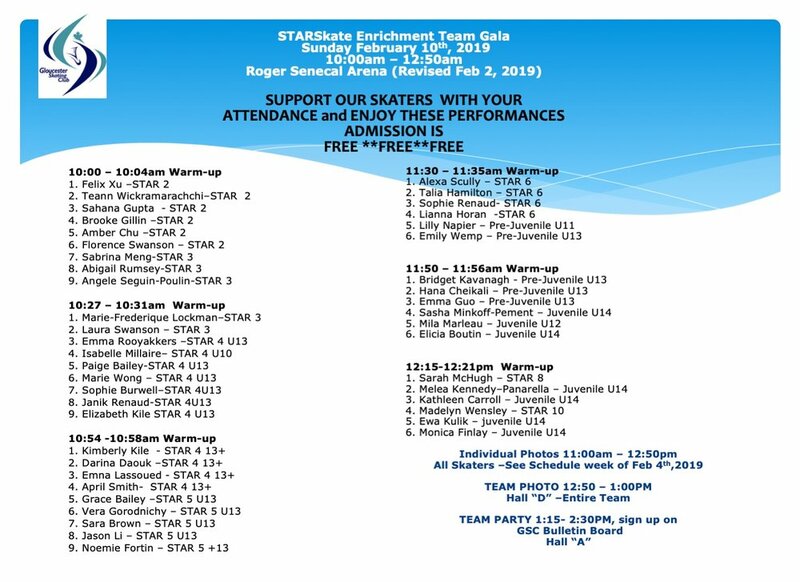 The evaluators will be some of our competitive skaters who will ensure this is a positive experience for your child. Please find the test day schedule below. 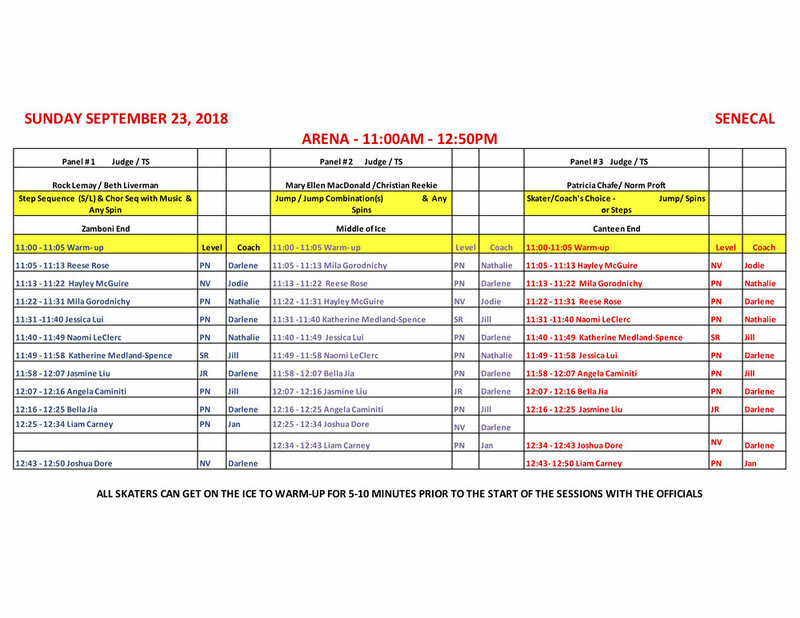 Please note that there will be ice available to 2018/2019 GSC StarSkate and CompetitiveSkate members FREE of charge.